I’ve long been drawn to the alchemy of family. It’s where the emotional action is in life, and in fiction. 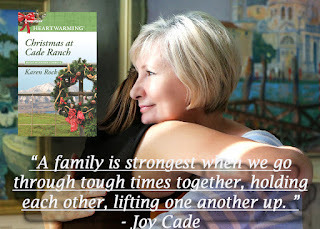 When writing a romance series, grounding the series in family drama provides a rich and dynamic cohesive element in which romance readers become deeply invested. They care greatly about what happens to the family over the course of a series as much as they care about individual members from book to book. Recently, I’ve been writing a family-based romance series, ROCKY MOUNTAIN COWBOYS, centered around two feuding ranching families and neighbors, the Cades and the Lovelands who, over the course of the series, must overcome their differences when the widowed heads of each household become romantically involved. 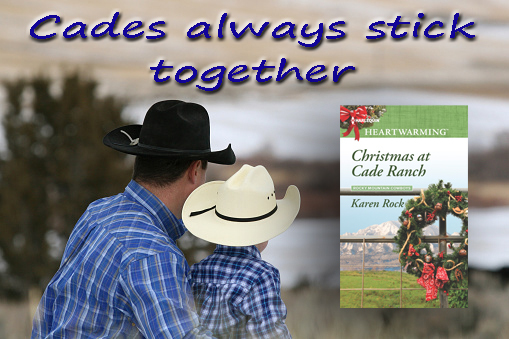 Two books of this nine-part series are already out, CHRISTMAS AT CADE RANCH, (Nov. 2017) and, FALLING FOR A COWBOY (January 2017). Book Three, BAD BOY RANCHER comes out April 3rd. 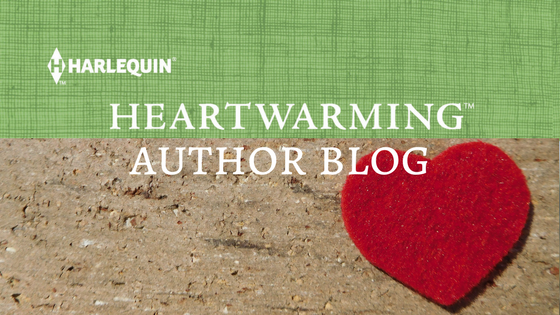 Writing about these complex families is an absolute joy, and I thought I’d share some tips for creating a compelling, family-based romance series readers will love. 1. Treat a family as an entity… a living being that has its own unique personality and makeup. When it comes to the Cades and the Lovelands, the Cades are known to be passionate, hot-tempered and impulsive. The Lovelands are tight-lipped, stoic and stubborn. They’re opposites which creates lots of great tension and conflict for the feud plotline running through the series. Additionally, while each family member has his or her own personality, the qualities that define their particular family are incorporated in their characterization on a sliding scale of intensity. For example, James Cade, the controlling older Cade brother who manages the ranch is the coolest head in the group, yet he has his moments, particularly when in a romantic setting with the heroine, where his inner “Cade” is unleashed and he becomes passionate and impulsive. 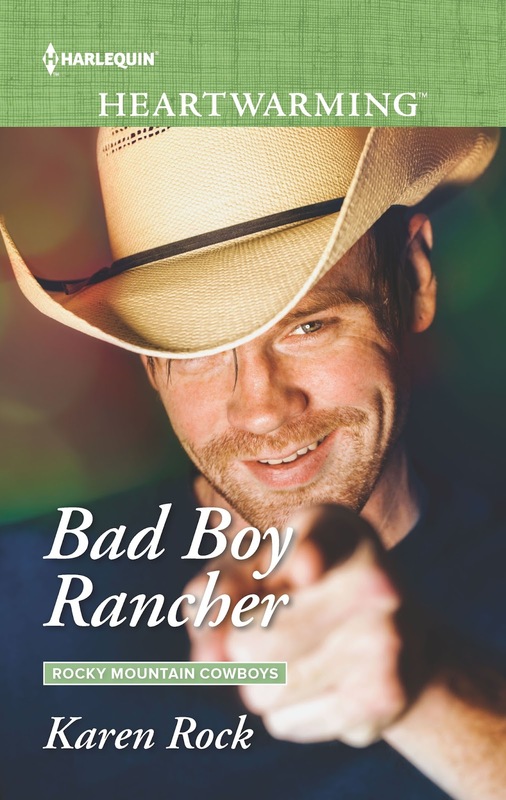 On the opposite side of the Cade spectrum is Justin Cade, the hero in BAD BOY RANCHER. He’s a darker character than his siblings, much more hot-tempered, more impulsive, and so passionate that his intense feelings for the troubled heroine in the book are impossible for him to contain. 2. To continue the idea of a family as a living being, consider each member in terms of the key role they play in keeping the family going, almost like organs in a body. For example, in the Cade family, each member contributes something vital and specific to the family. And like an organ in the body, when one member is lost, such as is the case when the Cades lose their youngest member, Jesse Cade, the result is crippling. It takes time for them to heal, another overarching theme in the series, as they struggle to figure out how to continue on without their lost loved one, without the critical role this member played in the family. 3. Another consideration in creating a fictional family is their history: a defining timeline of shared events and experiences. Those events may be small, happy ones family members draw on when reminiscing or following certain traditions unique to their group. On the other hand, they may be big events, sometimes catastrophic, seismic shifts the family experiences. They may think of themselves in terms of “before” and “after”, the family forever changed as a result of tragedy. Such is the case in the Cade family when they lose Jesse, the youngest brother, to violence associated with his opiate addiction. 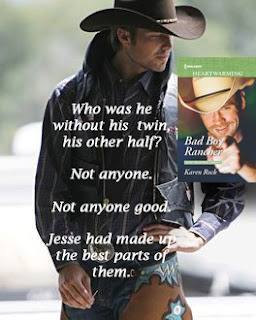 His tragic and shocking death sends the Cades into a downward spiral where each member must come to terms with their role in what happened to Jesse, and the path forward to healing, not just as individuals in each book, but over the course of the series, as a family. 4. Finally, consider interpersonal relationships when creating a fictional family. Just like in real life, members of a family relate differently to each other. Sure… we’re not supposed to love any family member more than the other, but the truth is we may have more in common with, or get along better, with certain family members than others. Fictional families must behave similarly in order to feel authentic. Determine ahead of time things like which members would be allied with whom, or who tends to argue or disagree more often with the other. For example, these dynamics come into play during the Cade’s monthly board meetings. Jared is usually allied with his mother and votes with her on ranch issues whereas James and Jewel usually side together against Jared and Joy… leaving Justin as the swing vote and subject to much persuasive talk and sometimes outright bribery to win his vote- lol. Yet ultimately, when an outside threat looms, such as is the case when Joy, the matriarch of the Cade clan and Boyd, the patriarch of the Loveland clan, become romantically involved after meeting in a bereavement group. Not only do the siblings of each family unite to stop their parent’s romance, the siblings from both families work together for the first time in over a hundred and thirty years to conspire against a romance that could potentially unite these mortal enemies. This has been a great series to read - fall in love with this family and all of its ups and downs - so real!! Love this series, one of my favorite fictional families was 7th Heaven. Thanks Karen for your terrific books. Thank YOU, Linda :) You give this writer so much sunshine! And I love your pick- The Camdens are awesome. My favorite fictional family is the Pritchetts from Modern Family! I'm a big movie & tv watcher so there have been many over the years. The Waltons, The Ingles on Little House, The family on Parenthood, the family on Brothers and Sisters, etc, etc. I like stories that show us every day life of the family and let us see their ups and downs with the celebrations as well as the pain. My all time favorite TV family has to be the Griffith's. Love the Andy Griffith Show. :) I grew up watching Bonanza and couldn't wait for to see each new episode each week. Funny how both series center around family values but there wasn't a wife in either. Guess both shows show my age and holding on to the values that family is important and the center of everyone's universe - a time before electronics and lack of communication. Thank you for the wonderful chance to win an autographed copy of what I know is a fabulous book continuing the story of the Cades and Lovelands where there may be drama but it's surrounded with by love and loyalty! I'm enjoying the family dynamics in this series. Thank you so much, Roz :) It's a joy to write about them! The series sound fabulous and I look forward to April’s release. Thanks for the informative and inspiring post, Karen! The Waltons,The Ingles on Little House and 7th Heaven.I would absolutely love to win a copy of this book.Thank you for the opportunity to win.I enjoy reading your books. Have a wonderful week. Thanks for the post and the topic. Before the advent women's fiction as a genre and my foray into romance I used to say my favorite fiction to read and write was "family drama-love story." I don't know anyone who hasn't had brushes with some family drama! Great post, Karen. I love that I get to brainstorm series ideas with you! You've certainly summed up why we love to read about family drama. Great information there - thanks for sharing. Thank you, Tina! And agreed- the Ingalls were such a beautiful family. I especially loved the younger years when Laura and Mary and Carrie were really little. So cute! Great tips. I'm enjoying the Cades and Lovelands. Can't wait for the next story. The history is so important. It shapes the whole saga. You do a splendid job of it! Thanks for the opportunity. Yes! Such a beautiful loving and supportive family. I used to wish Michael Landon was my father--nothing against my real dad--whom I adore. Great post, Karen. My new favorite TV family is the "This Is Us" bunch, all of whom break my heart at regular intervals. Thank you. I have to ditto what everyone else has said. Long ago I went to a seminar by Gary Provo and he gave a similar description. It was all about a system and adding or removing something from the system that cause some form of stress (good or bad), but it changes. I also remember reading and watching THE GODFATHER. The whole point of that book, despite the mob and violence, was a family unit and protecting that. That sounds like a great seminar, Shirley! I agree with Gary, the family is a system that can grow and change just like people :) I've always been a little afraid to watch The Godfather because of the violence, but now you've intrigued me because stories where the family--for good or for ill--always interest me. Who could forget the Ewings on Dallas--the family of the late70s-early 80s on TV. That's so good to hear, Helen! Thank you :) And I love your favorite fictional family choices. 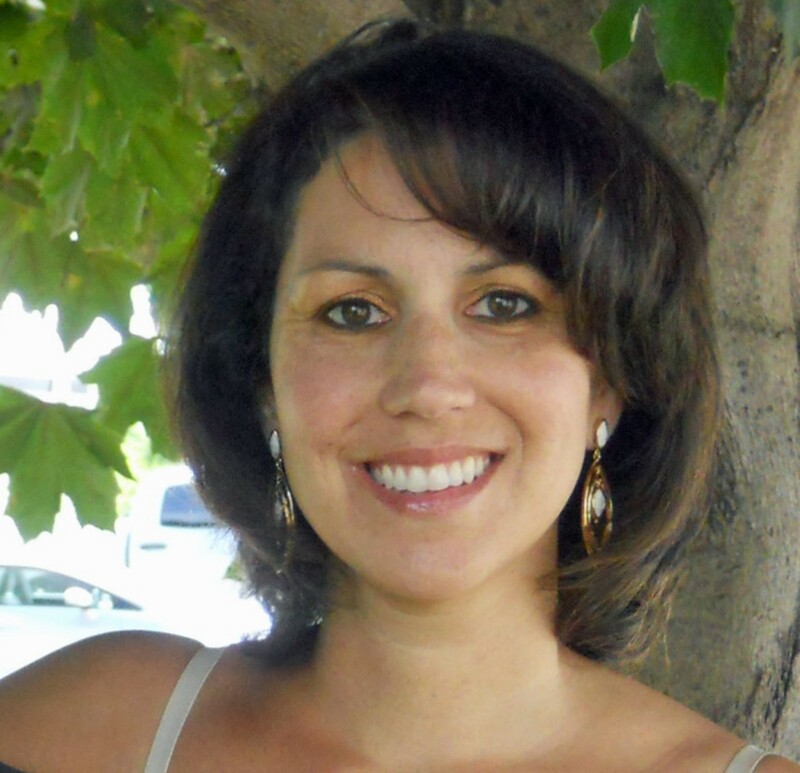 Julia Quinn is one of my favorite authors. I took so many notes from this content! Loved the reminder to assign each family member a unique part of the (family) body. I am inhaling Liz Issacson's family series. Yay! I'm so glad it was helpful :) I definitely believe in sharing what we learn as writers with one another. I know I've learned a great deal by reading these blog posts. And thanks for the tip on Liz Issacson's series. It sounds like something I'd love, too. I loved Alex, too, and the dynamic in the family where you had liberal parents and a conservative child who might not agree on certain issues, but who loved each other wholeheartedly. Great way to explain why I'm hooked on this series. I love the Cades, but honestly I'm waiting for the Loveland's too. The strong silent type, very dreamy. Growing up with all the family shows I did, I feel that actually did help shape family values. There was Family Affair with Uncle Bill, Mr. French, Buffy, Jody & Sissy. Little House On The Prairie, and yes, The Waltons across the nation Goodnight John Boy. I think you have nailed it beautifully with family dynamics, diversified. Cannot wait for the rest of the series.